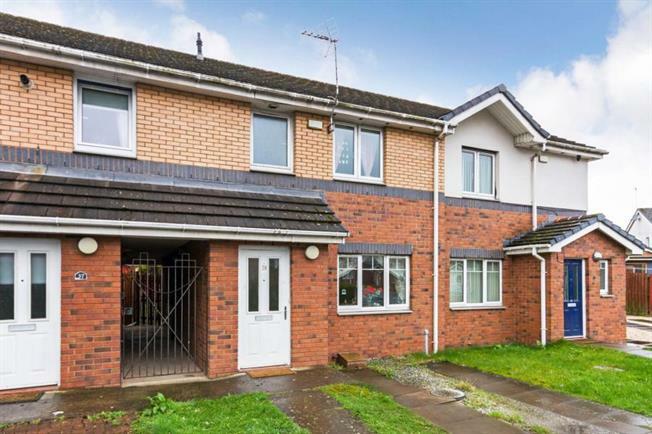 2 Bedroom Terraced House For Sale in Glasgow for Offers Over £120,000. OPEN HOUSE SAT 27th AND SUN 28th APRIL 2PM-4PM. CONTACT BRANCH FOR FURTHER DETAILS. Immaculately presented and expansive mid terrace villa situated within a most central Southside residential location. The property on offer is found in true turn key condition and offers flexible family accommodation over two levels. The accommodation in full comprises most welcoming reception hallway, beautifully presented lounge, well appointed dining room with space for table and chairs which provides access onto rear gardens via double glazed patio style doors, most impressive and stylish modern fitted kitchen with integrated oven, hob and hood and downstairs cloaks/WC. On the upper level there are two bright and spacious double sized bedrooms and stylish modern bathroom complete with three piece suite. The property is further complemented by double glazing, gas central heating, excellent storage throughout the property, well maintained front and rear garden grounds, with the rear enjoying feature slabbed patio area with space for table and chairs and enclosed by timber fencing giving a good degree of privacy. Inverness Street itself ideally placed for a range of local amenities including many shops, cafes and restaurants. Further High Street shopping can be found at Braehead Shopping Complex only a short drive away. Also close at hand are excellent public transport and motorway links allowing easy access to Glasgow City Centre and destinations further afield. Viewing at the earliest is highly recommended to appreciate the size and quality of accommodation on offer and to avoid disappointment.